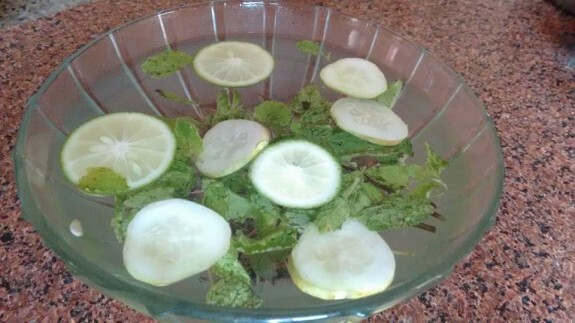 Cucumber Mint with lemon is a delicious and hydrating non alcoholic drink which you can serve anytime a day. While you are feeling too hot during summer, this could be a very energetic and refreshing drink at that moment. So, try this easy t make recipe at home and keep it in the refrigerator for at least 1-2 hour before drinking it. 1. Take the water in a large Jug or Bowl. 2. Now combine mint leaves, cucumber slices, lemon slices and sugar in the water and micx everything properly. 3. Let it chill for -2 hours. 4. Serve it cool as mocktail with rocksalt.